This tutorial will walk you through how to improve the electrical safety in your home by easily replacing a 2 prong outlet with a new safe GFCI (or GFI). 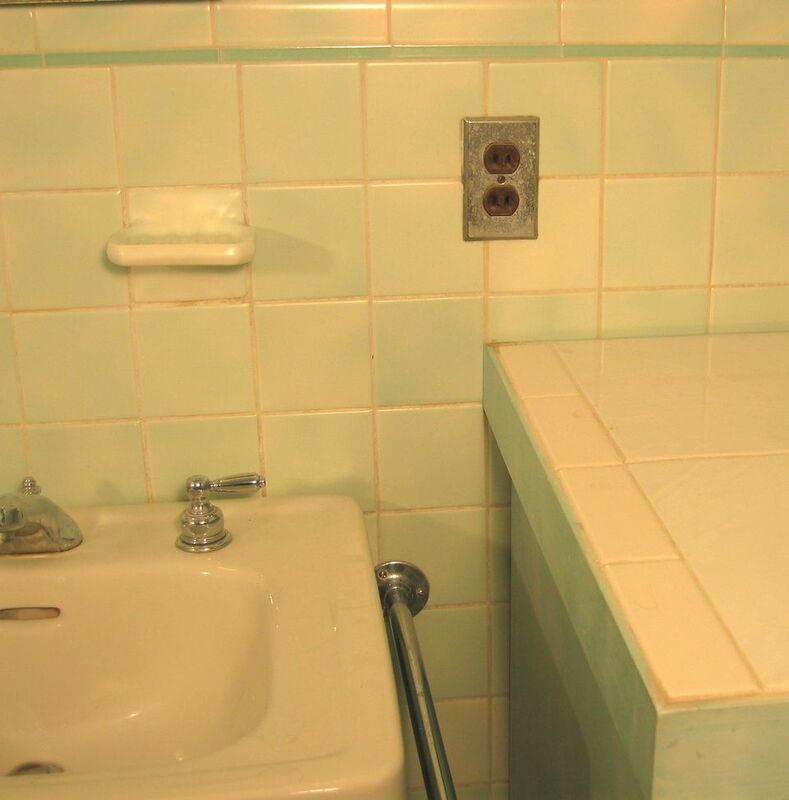 This safety upgrade should especially be done if the existing 2 prong outlet is near a sink, vanity or tub. Turn off power to the circuit feeding the old 2 prong outlet. You do this by going to your electrical service panel and either removing the fuse or turning off the circuit breaker feeding power to the outlet. Go back to the outlet and with a neon circuit tester check to confirm that power has been turned off. Remove the screw holding outlet cover plate. Remove the two small screws holding the old receptacle to the electrical outlet box. A multi-head screwdriver works great for this. Gently pull out the old 2 prong receptacle being careful not to crack the old wiring. Extend the old receptacle from the box enough to access the black and white wires attached to the old receptacle. Some old outlet boxes are jam-packed with wires, but most will have enough room for the new GFI. Confirm you have enough room in the box for the new GFI by gently pushing the wires back in the box and test fitting the new GFI. If the GFI didn't fit because there are too many wires in the box, you would have to install a new, larger electrical box which is beyond this Step-By-Step. If it does not fit safely, then replace the old 2 prong outlet. If the GFI fits, then proceed to Step 5. Make two extension wires each about 4"-6" long, one white (neutral), one black (hot) and both need to be the same thickness of wire as the wires to which you are connecting. For a 15Amp circuit, you need 14G (14 gauge), and in the unlikely case you're replacing a 20Amp outlet, you'll need 12G (12 gauge) wire. If you don't have any handy, you can usually buy this by the foot from your hardware store. Connect each extension wire to its respective color (black/white) wire with a wire nut. On the back of the GFI receptacle, you'll see four terminals. Two are for "Line," and two are for "Load." In single GFCI installations like this one, we only use the "Line" terminals. The "Load" terminals are only used for multiple outlet installations, not for this repair. Connect the black wire to the brass colored "Line" terminal screw. Connect the white wire to the silver colored "Line" terminal screw. Gently fold up the wires back in the box and press the GFI into the outlet box. Screw the GFI receptacle to the electrical box to fasten. Now we have to test the GFI before we are complete. Turn power to the circuit back on at the service panel. Make sure the RESET button found on the front of the GFI is pushed in and not the TEST button (the TEST button will shut the GFI off). With a neon circuit tester test for power at the GFI. Replace the cover plate. There should also be a little sticker with the GFI that says "No Ground" or something similar. Place that on the GFI to alert people that this outlet is not grounded. You have now greatly improved the safety of this electrical outlet by installing the GFI. Even though it is not a grounded outlet, the GFI will protect against shocks.